Despite the clubhouse being closed for refurbishment, 12 members took part in a First Aid course last Saturday, 19 January. As you can see they suffered a range of severe injuries during the day! 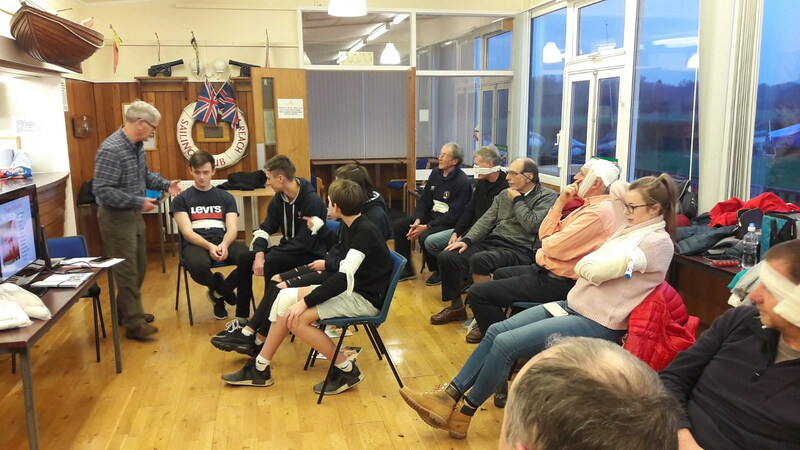 The course included practical CPR using dummies and a demonstration of using a defibrillator - this generated lively discussion of the use of this kit in sailing clubs. It was great to see four junior members getting their certificates in preparation for dinghy instructor training this summer. Our thanks go to Cookham Reach SC for allowing us to use their clubhouse.